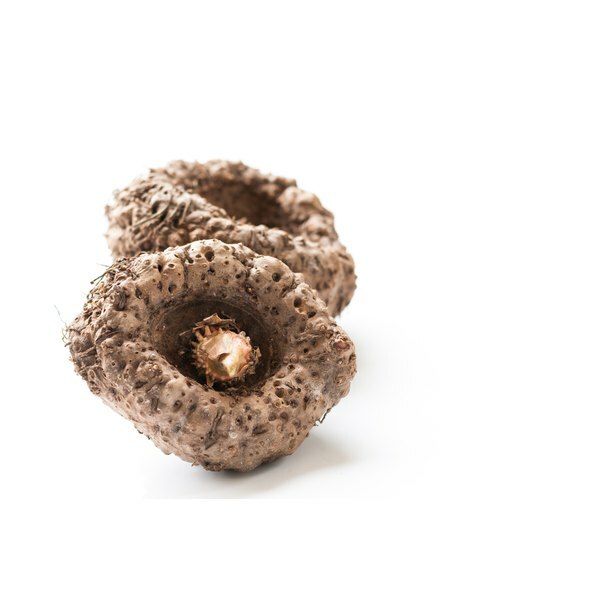 Konjac root, also known as glucomannan, is sometimes used as an herbal medicine for lowering cholesterol, blood pressure and blood glucose levels. It may also help treat constipation and help with weight loss, according to the NYU Langone Medical Center, although the research for the use of konjac for these purposes is still very preliminary. Before taking konjac root, speak to your doctor to make sure this supplement is safe for you and to determine the appropriate dose. The typical dosage for konjac root varies from 1 g to 13 g, depending on what you are taking konjac root for, according to Drugs.com. Dosages between 3 g and 5 g are the most common, and should be divided into multiple doses taken before meals along with a full glass of water. Minor side effects from consuming konjac root include bloating, diarrhea and gas. If these symptoms do not improve after a few days you may want to lower your dose of konjac root. Some people have experienced gastrointestinal obstructions after taking konjac tablets because the tablet expanded before reaching the stomach, causing symptoms including difficulty breathing, chest pain and vomiting. Choose products that come in capsules rather than tablets, as capsules take longer to dissolve. Konjac root may interact with diabetes medications, and may increase the time it takes for your body to absorb other medications. Do not take konjac root within 4 hours of your other medications to limit this risk. Do not take konjac root if you have any abnormalities in your digestive system, as this may increase the risk of an obstruction occurring, and do not take konjac at bedtime. Speak to your doctor before taking konjac root to make sure this supplement would be safe for you. Do not try to self-treat any condition with konjac root, or use konjac root instead of the conventional treatment your doctor prescribes for your condition. The evidence for the use of konjac root to treat any medical condition is still preliminary, so it may not prove an effective treatment.